Sleep apnea is a common problem that can affect all age groups and can result in serious health issues. 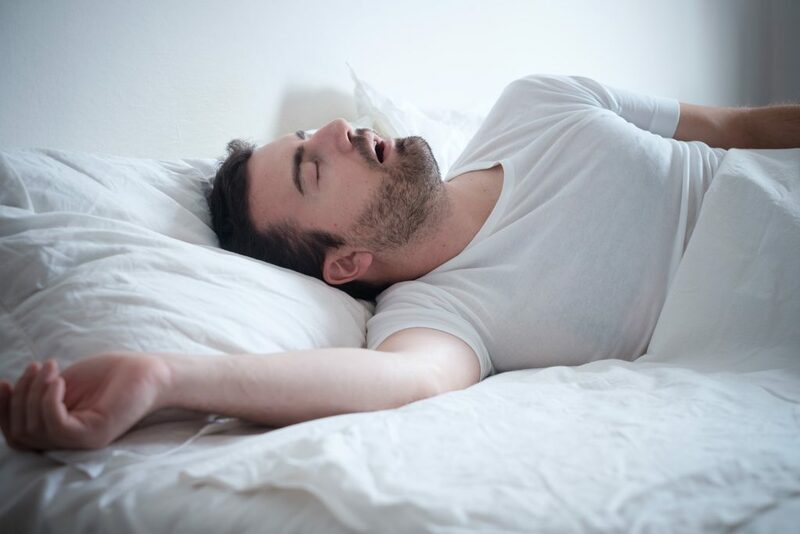 The two main types of sleep apnea are Obstructive, where the upper airways collapse during sleep thus preventing airflow, and Central, where there is actual cessation of breathing effort. It is not uncommon to ask why do I have sleep apnea? The causes may be multifactor in any individual but there are certain risk factors that can often be addressed. The most common contributing factor is obesity. Increasing the diameter of the neck and waistline increase the risk for sleep apnea and increase severity. Weight loss can lead to improvement and at times resolution of sleep apnea. Increasing age can also increase the incidence of sleep apnea. There is little one can do to change this except die young, which defeats the whole purpose of addressing this issue in the first place. Anatomy of the upper airway can play a significant role in the propensity for sleep apnea. Large tonsils can contribute to upper airway obstruction and thus to apneas. In children, the removal of large tonsils can often be curative for sleep apnea. However, this is much less successful in adults. Macroglossia (large tongue), which is seen in patients with Down’s syndrome, can be a factor for sleep apnea. Nasal obstruction can contribute to worsening of sleep apnea but is usually not the sole cause. Retrognathia (receding jaw), which places the tongue more posterior in the mouth, can be very significant in causing sleep apnea. Surgical correction can be helpful, as can dental appliances depending on severity. There are also several less common anatomical abnormalities that can still lead to sleep apnea. In essence, any anatomical abnormalities in the upper airway that compromise the integrity and size of the airway can lead to dynamic obstruction of airflow during sleep and thus cause sleep apnea. Since the brain controls breathing, neurological abnormalities can lead to both central and obstructive sleep apnea syndromes. Strokes, Parkinson’s disease, brain tumors and cerebral malformations are all risk factors. 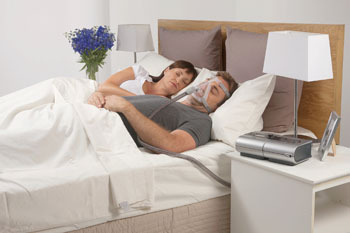 Where one sleeps may also have a contributing role in the development of sleep apnea. The higher the altitude the less oxygen there is in the air that one breathes. 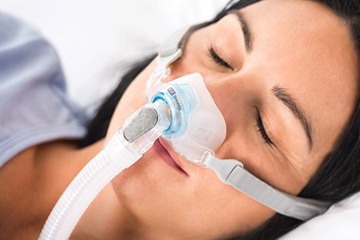 Depending on the individual, low oxygen intake can lead to waxing and waning of breathing effort, which in turn contributes to the cause of obstructive and central sleep apnea. Therefore, living at high elevation may be a problem for some patients. Personal habits can be important for adding to one’s risk for sleep apnea. Smoking appears to be a risk factor as smokers have a much higher incidence of sleep apnea than non-smokers. Alcohol ingestion, especially going to bed with elevated alcohol levels, can lead to severe sleep apnea. Medications that are sedating in nature can worsen or, in some cases, be the direct cause of sleep apnea, and this can be dose dependent. Of great importance, especially in light of the opioid crisis in our country, is that opioids can directly cause central sleep apnea and greatly worsen obstructive sleep apnea. Decreasing the dosages of these drugs or stopping them can at times be very helpful in improving and in some cases even resolving sleep apnea. There appears to be complicated genetic contributions to sleep apnea, as sleep apnea does seem to run in families. Some of this clearly is from a number of the factors noted above. Consequently, it is always important to choose your parents wisely.